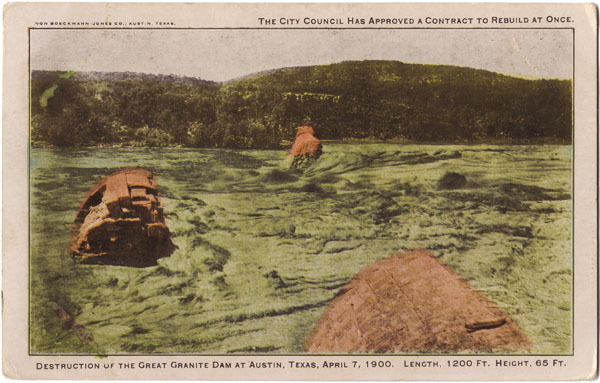 AustinPostcard - Destruction of the Great Granite Dam at Austin, Texas, April 7, 1900. Destruction of the Great Granite Dam at Austin, Texas, April 7, 1900. The City Council Has Approved a Contract to Rebuild at Once.